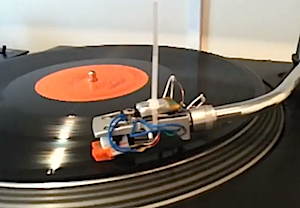 Wireless Technics: Biggest Thing In Digital Vinyl Since Final Scratch? Wireless DVS: This prototype Bluetooth cartridge does away with the need for cables and a laptop. Unlike our last post in this area, this definitely isn’t an April Fool. 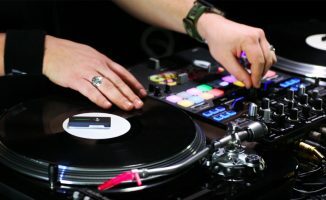 Digital DJ Tips reader Leon has demonstrated to us a prototype technology he’s developed that could be the biggest thing to happen to vinyl DJing since Final Scratch first heralded the arrival of digital vinyl ten years ago. 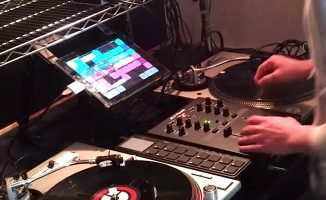 In his promo video, which you can see below, he explains and demonstrates his wireless DVS system which could do away with DJs having to take a laptop, sound interface, cables and so on with them to gigs at all, and instead DJ with real vinyl using real Technics but with nothing more than their iPad or even iPhone as their music library. 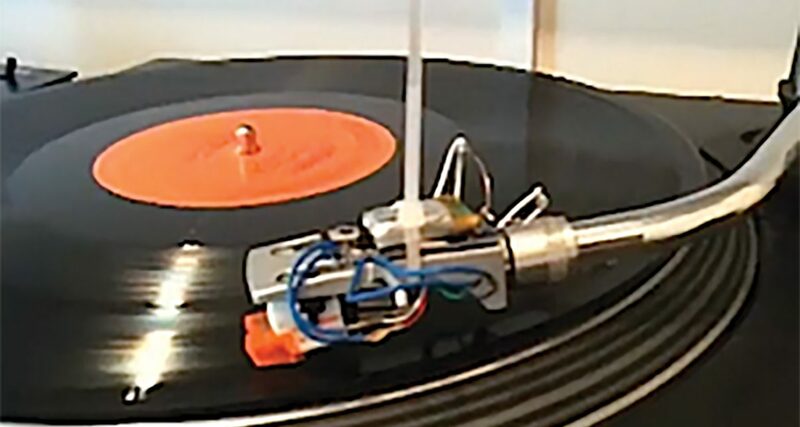 The system involves a cleverly adapted cartridge for standard record decks, which communicates via Bluetooth with any Bluetooth-enabled device, such as an iPad or even a smartphone. The DJ simply turns up, swaps the cartridges in the record decks at the venue with his Bluetooth ones, powers up his iPad, iPhone, iPod, Android device (or laptop), and the music is sent via Bluetooth between the music library on the DJ’s device and the cartridge, which then sends the sound down the audio cable of the record deck. This is only a prototype and Leon is looking for companies to help him to develop it further, but there’s no reason why an all-purpose cartridge couldn’t be developed to save the need to even carry your own cartridges around with you. With a suitable piece of library software (possibly offering cue point setting and even waveforms, something like Rekordbox), running on your iPad, iPod, iPhone or Android device, a DJ could literally turn up, enable bluetooth on his or her phone, and play. And looking further forward, there’s also no reason why in the future, Bluetooth couldn’t be built in to DJ controllers, CDJs and record decks, allowing this kind of thing to become the norm. After all, with Apple’s Airplay bringing wireless music to the mainstream, why not bring cable-free music to DJ equipment too? What do you think? Do you like the idea of turning up, all your music on your phone, and using the club’s existing equipment wirelessly? Let us know your thoughts in the comments. 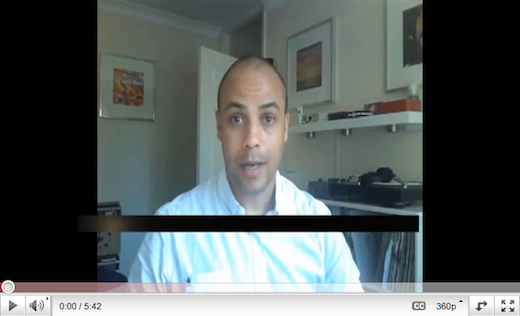 Your Questions: Can I Use DVS With An iPad? Quality idea…I really hope a company gets involved in this and develops it. Only hassle I can see being the fact that ipad/iphone tunes are all at 128 Kbps…aren’t they? The iPhone definitely supports 320kbps MP3 according to the manual. That said, this is one of the most exciting things i have ever seen and i’ve never dj’d with vinyl. Really hope this prototype gets picked up by someone. I can confirm this, as 16b441khz says, the iPhone can play 320kbps or even WAV / AIFF tracks. I had no idea my phone could do that…cheers guys! This is very interesting, the first real BIG step forward for DVS in a long time. The only issue I see arising is latency, but I’m looking forward to seeing where this goes. -do the needles offer audio through? as in can you play normal vinyls combined with the wireless dvs system? -signal security. as far as i know bluetooth is not the most protected signal so what about signal getting jammed when there are hundreds of bluetooth phones in the audience? -where is the DAC? if it’s so small that it fits on the cartridge, how is the quality? all this put aside though, this is most probably the greatest idea performance wise since the invention of dvs. big ups!! As for signal integrity, it’s early days. Will keep you all posted as we go. yeah, with a thru switch you have a go-to product at hand. can’t think of any better / more portable solution than this! At last something really fresh appeared in the midi-boring digitized world of DJ-ing. Gratz. A step back as far as I can see… not long ago the question was being posed “do we need jog wheels on controllers?” and yet here we have the biggest jogwheels in the world continuing to be hyped. 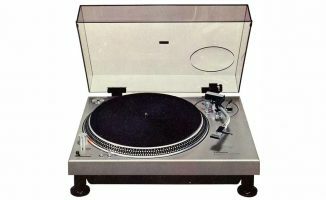 Look, I love Technics (I have two in my attic!) but the way I see it, if you want to play records use a record player, if you want to play music files, use a computer. I basically agree with you… but in practice, if I could open an app on my iphone then start mixing on an existing set-up, that would be bloody cool. I’d buy that. There isn’t a controller yet that can match the SL (or any other turntable for that matter) when it comes to hands on expressive capabilities. There’s only 1 or 2 CDJ’s that can.. BUT there is no way a Turntable can match the creative power of a laptop. This offers the best of both worlds without the agro of setup. I think the truth is that people like to see a DJ have fun. Whether they do that behind a music keyboard, a controller, two Technics, some CDJs, a guitar, a laptop – it doesn’t matter. Look at Girl Talk for an example of a dynamic laptop performer. And I’m seen some dishwater-dull vinyl DJs in my time. Vinyl is just one of many solutions, but the reason I like this is that DVS set-up is tedious, but this could be really neat and therefore cool. Plus it could work with any control surface eventually. I’ve seen some grim old vinyl dj’s in my time..
B. manipulating the vinyl wont change the music. So this is sort of a replacement for a 1/8 to rca adapter to get your ipod music into the mixer. It uses a control vinyl (same as serato, traktor scratch etc). Manipulating the vinyl sends a wireless signal to the phone, iPad or whatever telling it when and how fast to play the music. Ah, ok. Thats pretty cool. The music is being manipulated by the ipad in accordance to the time code signal being transmitted to it by the needle. The only problem I have with this is that there’s always a greater chance of something going wrong with wireless than with good old cables. However, if this idea is fully developed and produced I could see it being a huge step forward in DJing. Fantastic Idea Leon! Get your idea some financial backing with Kickstarter.. There are many DJs and artists who would pay good money to have this product.. There are alternatives out there, believe me. The MK1 is really just a proof of concept. I’d imagine a far better solution once some proper research goes in on this. Would love to use it! Leon are you the developer/concept designer? Talk with Scott Wardle from Babytalk fx. Yes I am.. Do you have any contact details for him? 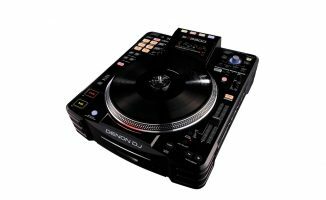 Seems like an awesome idea, I’m not ready to give up on my decks just yet and do have to admit that taking out DVS set-ups is off putting, so this could be a boon to many. Latest versions of bluetooth use good quality sound but getting a cartridge to track at decent weight will be the challenge, so pairing with a company who can design such a thing will be key i guess? i use bluetooth with my iphone and sampling program to send audio to my amp for a show i do and there is latency what are the issues with this especially since its going to be two way traffic ? It’s only a prototype, so they’re probably solving that stuff as we speak. I’m hoping to meet up with them at BPM so I’ll know more shortly!